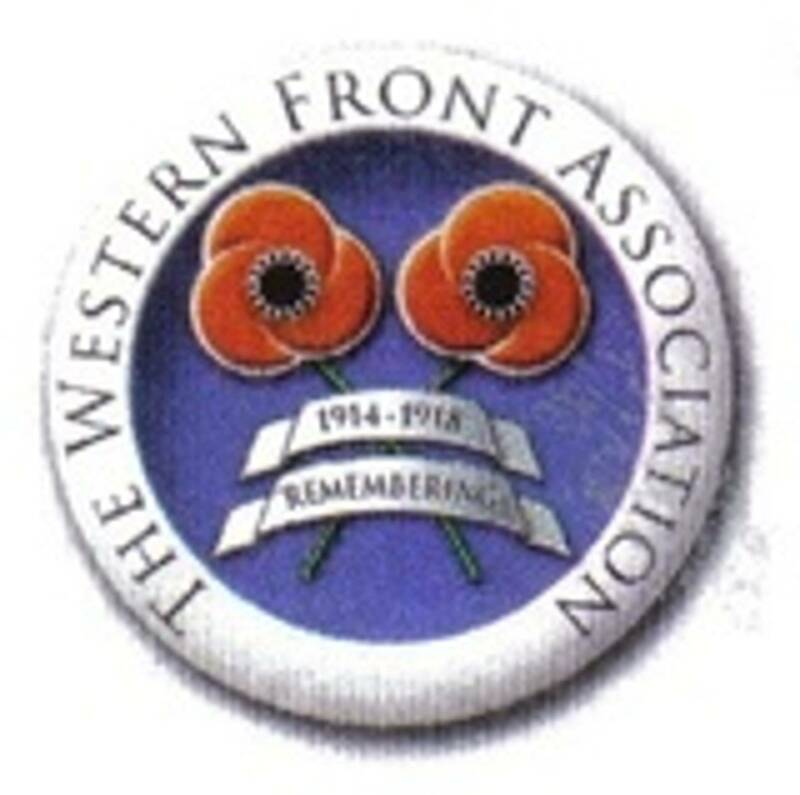 In Loving Memory, a page where the ancestors of those with an interest in the Dublin Branch of the Western Front Association and who fell in the Great War can be remembered. Private Edward Chambers. 1/7 Royal Warwickshire Regiment, Killed in Action on 28 August, 1917, at the 3rd Battle of Ypres (Passchendaele). Remembered on the Memorial To The Missing at Tyne Cot. Lt. Patrick John Donovan. RNR. HMT Lotus. Died 23 June, 1916. Buried in Haslar Royal Navel Cemetery, Gosport, Hampshire. Lt. Stephen Michael Barry-Walsh. 1 Cavalry Field Ambulance, Royal Army Medical Corps. Died 8 September, 1915. Buried in Calais Southern Cemetery. Lance Corporal John Manson. D Company, 2 Royal Dublin Fusiliers. Missing, presumed Killed in Action on 26 October, 1916. Remembered on the Thiepval Memorial To The Missing. Private James O?Neill. 1 Royal Irish Fusiliers. Killed in Action on 11 April 1917. Buried at Fampoux British Cemetery, Arras. Lt. Joseph Bagnall Lee. 6 Royal Munster Fusiliers. Killed in Action on 7 August, 1915, at Sulva, Gallipoli. Remembered on the Helles Memorial To The Missing. Captain Robert Ernest Lee. 14 Field Ambulance, Royal Army Medical Corps. Died 10 October 1918 (RMS Leinster). Buried in Deans Grange Cemetery, Dublin. 2 Lt. Richard Shackleton. 8 North Staffordshire Regiment. Killed in Action on 8 June, 1917, at Messines, Belgium. Remembered on the Menin Gate Memorial To The Missing, Ypres. Ordinary Seaman Michael McLoughlin. HMS Pheasant. Died 1 March, 1917, at Scapa Flow, Orkney Islands. Remembered on the Plymouth Navel Memorial. Captain George White. 1 South Staffordshire Regiment. Killed in Action on 1 July, 1916, at the Battle of The Somme. Buried at Dantzig Alley British Cemetery, Mametz, Somme, France. Captain Valentine Arthur Butler Cranwill, MC. 2 East Lancashire Regiment. Killed in Action on 24 April, 1918, at Villers-Bretonneux. Buried in Camon Communal Cemetery, Somme, France. Sergeant Charles Kelly. Royal Dublin Fusiliers & Royal Engineers. Died on 6 March, 1921, from the effects of being gassed during the war. Buried in Glasnevin Cemetery, Dublin. Private John Joseph Kelly. 2 Prince of Wales, Leinster Regiment. Killed in Action on 31 March, 1917. Buried in Barlin Communal Cemetery, Pas de Calais, France. 2 Lt. St. Clair King Nixon Laing. 7 Royal Munster Fusiliers. Died on 2 April, 1917. Buried in Bailleul Communal Cemetery Extension, Northern France. Private Daniel Lawrence Gill. 11 (Prince Albert's Own) Hussars. Died on 13 May, 1915. Remembered on the Menin Gate Memorial To The Missing, Ypres. Gunner Laurence Brown. Royal Marines. Killed in Action on 31 May, 1916, on HMS Defence, at the Battle of Jutland. Remembered on the Portsmouth Navel Memorial. Seaman Samuel Houghton. HMS Black Prince. Killed in Action on 31 May 1916, at the Battle of Jutland. Remembered on the Portsmouth Navel. Corporal Patrick Murphy. 9 Royal Dublin Fusiliers. Killed in Action on 9 September, 1916, at Ginchy. Buried in Terlincthun British Cemetery, Wimille, Pas de Calais, France. Private Francis David Summerson. 7 Lincolnshire Regiment. Killed in Action on 8 August,1917, at Fampoux, near Arras. Buried in Browns Copse Cemetery, Roeux, Pas de Calais, France. Private Edward Mullins. 2 Leinster Regiment. Killed in Action on 7 June, 1917, at Messines, Belgium. Remembered on the Menin Gate Memorial To The Missing, Ypres. Reverend Michael Bergin S. J. MC. Chaplain 3 Class, Australian Army Chaplains Department. Died on 12 October, 1917. Buried in Reninghelst Churchyard Extension, near Poperinge, Belgium. Lance Corporal Albert William Penney. 1 Wiltshire Regiment (Duke of Edinburgh's). Killed in Action on 23 October, 1914. Remembered on the Le Touret Memorial To The Missing, Le Touret Village, Pas de Calais, France. Private Thomas Ratican. 10 Royal Dublin Fusiliers. Killed in Action on 25 May, 1917, in the Oppy-Gavrelle Sector. Buried in Albuera Cemetery, Bailleul-Sire-Berthoult, near Arras, France. All those that where lost when the RMS. Leinster was sunk on 10 October, 1918. Private Patrick Gibney. "W" Coy 1 Royal Dublin Fusiliers. Killed in Action on 1 July,1916 in the Battle of the Somme. Buried Auchonvillers Military Cemetery. Private William Brilly 1 Connaught Rangers. Died on 19 October, 1915. Buried in Euston Post Cemetery, Laventie, France. Private Frederick George Herrieven. 2 Royal Dublin Fusiliers. Died on 7 August,1917. Remembered on the Menin Gate Memorial To The Missing, Ypres. Private Michael Nordell. 4 (Attached 8) Royal Dublin Fusiliers. Died of Wounds on 28 September, 1916. Buried in Bailleul Communal Cemetery, Extension, Nord, France. Private William White. 14 Battalion (Quebec Regiment) Canadian Infantry. Killed In Action on 3 June, 1916. Remembered on the Menin Gate Memorial To The Missing, Ypres. Gunner Edward Lynch. 59 Siege Battery, Royal Garrison Artillery. Killed In Action on 27 July, 1916. Buried in Quarry Cemetery, Montauban, Somme.